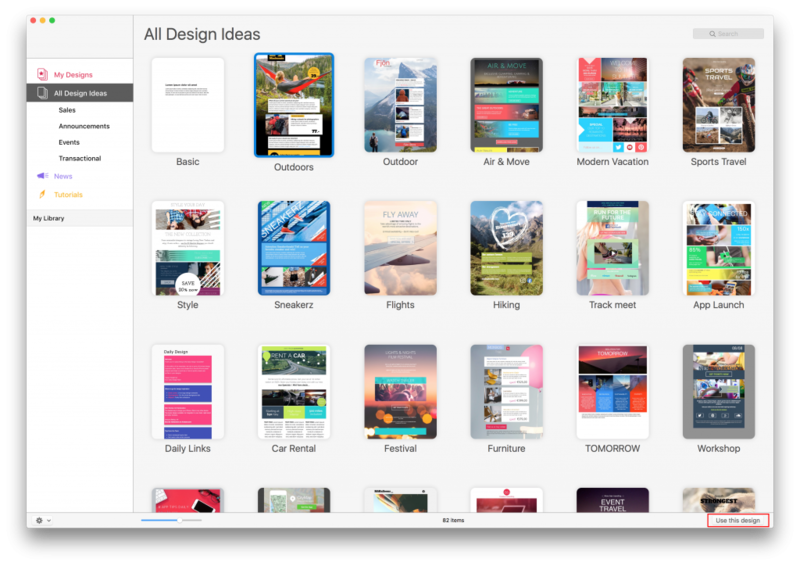 Mail Designer 365 includes several “Design Ideas.” These are common email layouts you can use as a starting point for a new email design. Choose from the wide selection of templates. Or you can start with a template from templates purchased In-App. Just double-click a design in the chooser window to create a new design based on that Design Idea. The design will open in a new window – ready for you to start editing!